On September 22, Nana Gichuru died in a gruesome accident on the Eastern Bypass when she tried to pass several vehicles and hit a truck in a head-on collision (according to media reports). Unfortunately, this was not the only accident on the Eastern Bypass that day or that week; two more accidents were reported the same day and another one a few days later. So where are the black spots? Based on the accidents we can locate, here are the counts just since May. The question remains: Why are there so many accidents on this one road? 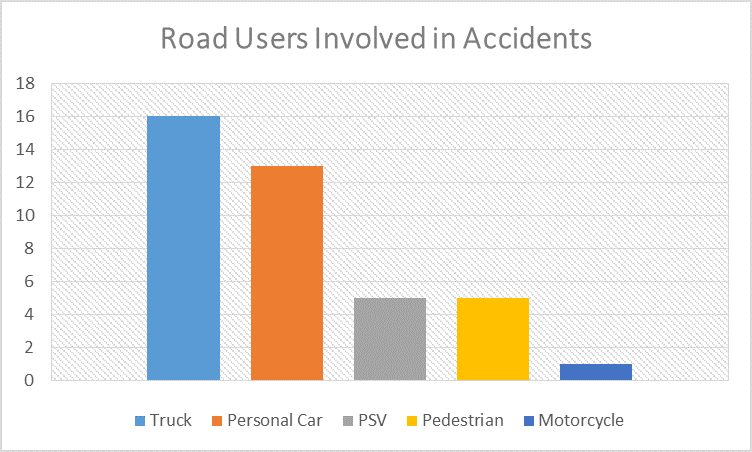 Looking at the road users involved we see that trucks are the most commonly reported vehicle in an accident on the Eastern Bypass. (This is different from the city average where personal cars are the most cited.) Could higher truck traffic lead to an increase of accidents? This is certainly a theory worth investigating. Number of accidents involving each type of road user on the Eastern Bypass from May 1, 2015 to September 27, 2015. Note: some accidents involved more than one type of road user and not all accident reports gave details about the road users involved. Another issue that comes up is speeding. As the following graphic posted by the Safe Way Right Way team explains, the higher the speed of the car, the more time and space it takes to stop the car and so the greater chance of accidents. It shows that with just 1 second to think/react at 50km/hr you travel 14 meters, but at 100 km/hr you travel 27 meters. 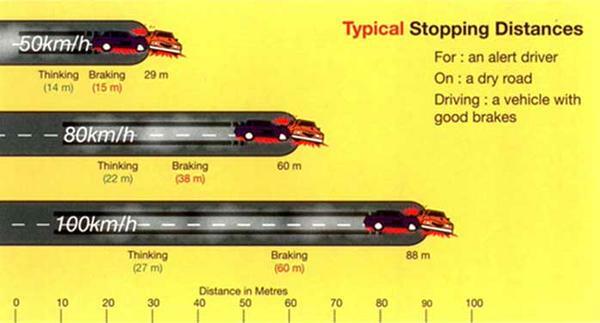 Similarly, the distance it takes for your car to stop increases as your speed does. 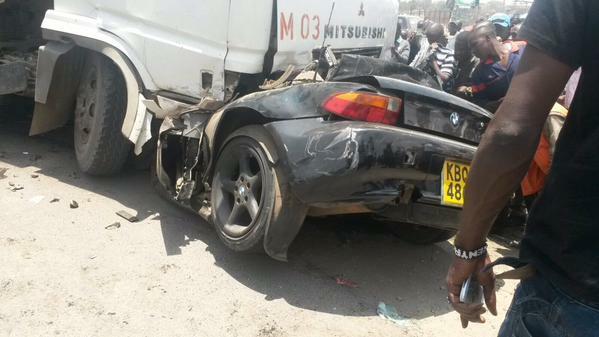 As many Ma3Route users remind us, we cannot control other road users, but we can control ourselves. So, in memory of those who have died on the roads, let us reduce speeds and increase the chances of fewer severe accidents on the roads.